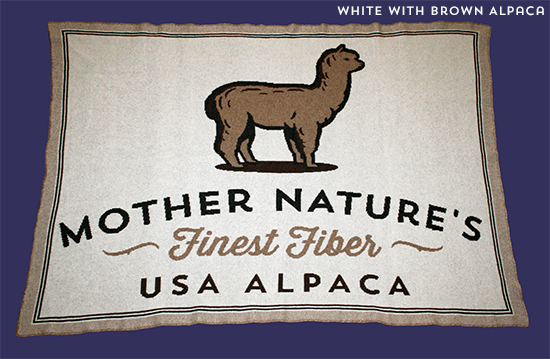 Minimum quantity for "Mother Nature's Finest Fiber Blanket" is 1. 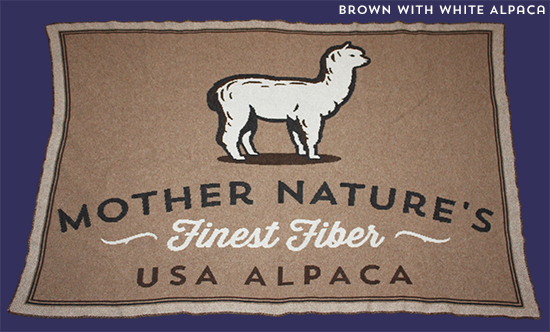 Our Mother Nature's Finest Fiber Blanket is one of our new limited edition products for 2014. 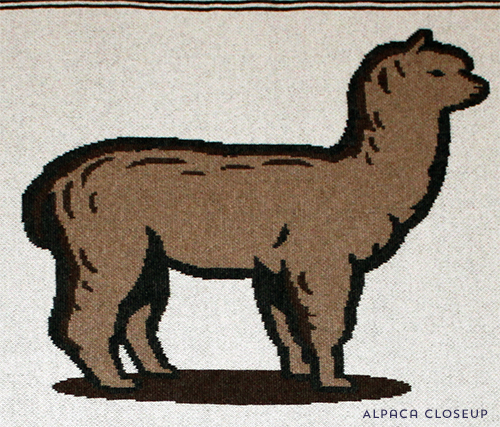 This stunningly beautiful heavy weight blanket showcases the warmth and softness of USA Alpaca with a unique and eye catching design. 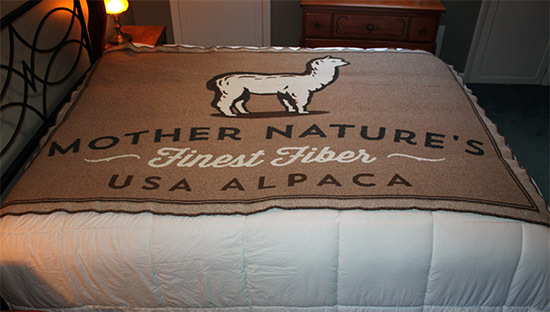 The entire blanket is produced using naturally colored alpaca blend yarn, highlighting the wide range of fiber colors produced across the national alpaca herd. The blanket is double knit, adding to it's weight, overall comfort, and ability to keep any one or even two people warm on the coldest of nights. 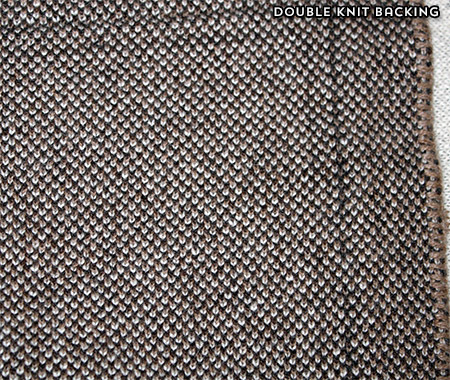 Pictures can only begin to scratch the surface on how impressive this blanket is in person, we look forward to delighting you when the first begin to ship out.